If you missed the That’s Novel exhibition at the end of 2010 which I had the honour of producing artwork for, then you have another chance to see it as it will be on display as part of Adventures In Comics. 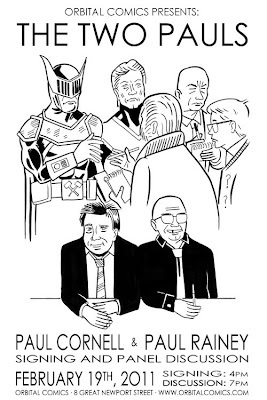 This exhibition will be displaying the four There's No Time Like The Present extras I drew along with other comic work. 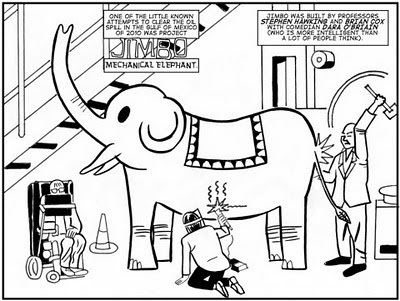 Also being exhibited will be a series of two paged strips drawn by a wide variety of comic artists produced especially on the theme of Mechanical Elephant. A sample from my entry can be seen below. 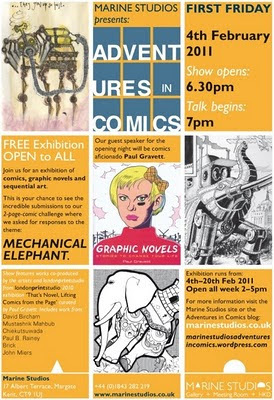 The Adventures In Comics exhibition runs between February 4th to 20th at Marine Studios, 17 Albert Terrace, Margate, Kent. More details can be found here. 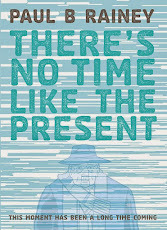 Orbital Comics in London have included There's No Time Like The Present in their highly selective and otherwise tasteful Best of 2010 list. My comic is in there with the likes of The Walking Dead and Bulletproof Coffin. Tom says, "The strength of Paul Rainey’s ‘There’s Time Like The Present’ lies in it’s ability to juxtapose relatable personal drama with lofty cosmic science concepts". Copies of all thirteen parts are still available to buy from the shop section of my website or directly from Orbital. Orbital Comics like my work enough to have invited me to take part in an event in their shop with Paul Cornell on Saturday February 19th. Paul is a highly regarded writer whose work includes Captain Britain, Action Comics and episodes of Doctor Who. Details can be found on Orbital's website and I'll remind you here nearer to the time.